Dust may be a pesky part of everyday living for most of us, but in space, it’s a major obstacle in learning whether there is life on other planets. And a rising senior at the College of Medicine’s Burnett School of Biomedical Sciences will spend his summer helping NASA determine how to identify and battle dust in Florida’s atmosphere that may be altering experiments in space. 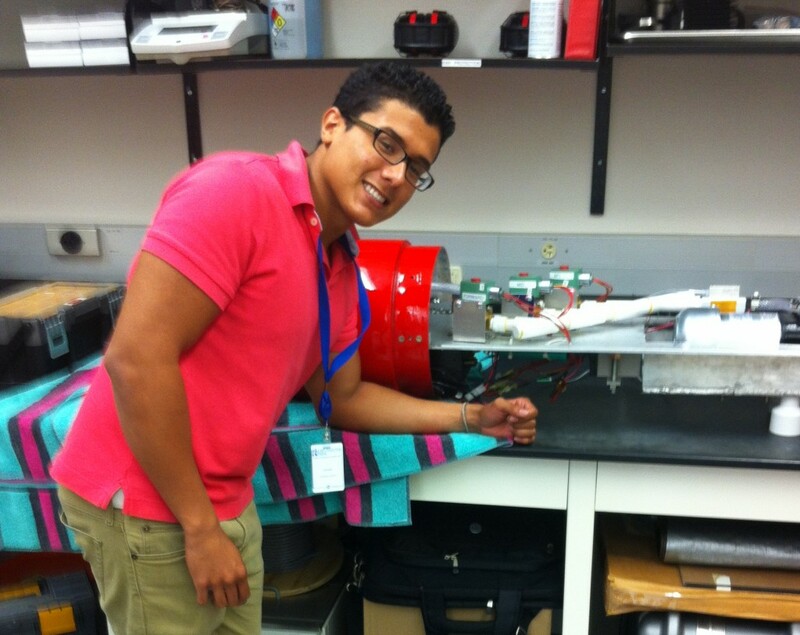 UCF’s Fernando Valbuena is one of five students across the state selected for the Florida Space Grant Consortium Internship Program that begins this month at Kennedy Space Center. His research with NASA life scientist Dr. Andrew Schuerger is called “Aerobiology of Atmospheric Dusts Over Florida: A Possible Source of Contamination on Planetary Spacecraft.” It will examine atmospheric dust that floats across the Atlantic Ocean from Africa, and attaches itself to the NASA spacecraft at Cape Canaveral. Valbuena and other researchers will begin taking air samples at the Cape in late June, just in time for Africa’s summer dust storms and will screen the dust for living organisms and pathogens. With that data, they can determine if the African dust storms during the summer pose a health issue for humans, plants, or animals, or a contamination threat for spacecrafts, which could potentially hinder future life searching missions to Mars. “A big part of what NASA does is try to find traces of life on other planets,” Valbuena said. “They don’t want to bring back false positives if we’re cross-contaminating.” The research will provide valuable comparative data for NASA’s future missions to Mars. All five interns are from state universities in Florida and will each be doing different research projects at NASA. UCF has two interns – more than any other university. UCF environmental engineering major Kimberly Cranmore was also selected to study microgravity, and its effect on the innate immune system.